You have chosen an exciting way to serve others. The social work profession offers you the rewarding prospect of joining with others to respond to problems and develop opportunities that benefit individuals, families, groups, and communities. The MSW degree prepares you for advanced professional practice in the field of social work. Augsburg’s MSW program prepares you for agency-based practice with individuals, families, groups, and communities, and with a dedication to system change that reduces oppression and discrimination. Graduates of our program share how they appreciated the opportunity to learn new ideas as well as learn more about themselves. These graduates valued our small class size, our cohort structure, and the opportunity to have a mentoring relationship with our faculty and staff. As a small program, we have high expectations for our students and at the same time offer the flexibility to help them meet their individual goals. 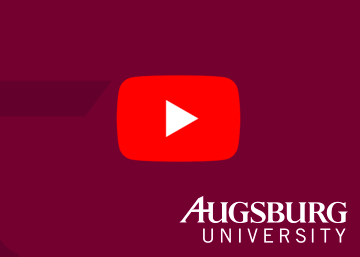 Attending Augsburg University will transform and develop your professional life in unexpected ways. We have two concentrations. The first, Multicultural Clinical Practice (MCCP), will prepare you for direct clinical practice with individuals, families, and groups. The second, Multicultural Macro Practice (MCMP), will prepare you for macro social work practice with organizations, communities, and other large systems. We are delighted in your interest in our MSW program and invite you to join us in a lifelong adventure in learning. The personal and professional growth necessary to become an advanced professional social worker is challenging. We encourage you to take the challenge with us. Our mission is to develop competent social work professionals for advanced multicultural practice which promotes social justice and empowerment towards the well-being of people in a diverse and global society. Augsburg’s MSW program is accredited by the Council on Social Work Education (CSWE). Your MSW degree must be accredited by CSWE if you seek licensure with the social work board of your state. For more information on CSWE accreditation go to www.cswe.org. Augsburg University is accredited by the Higher Learning Commission. For a complete list of Augsburg’s accreditations, approvals, and memberships, see the Accreditation, Approvals, and Memberships section of this catalog. Students entering Augsburg’s MSW program with a bachelor’s degree from a discipline other than social work are classified as foundation students. Full-time foundation students are enrolled in a two year program. Part-time foundation students are enrolled in a four year program. Students entering Augsburg’s MSW program with a bachelor’s degree in social work from a CSWE (Council on Social Work Education) accredited institution are classified as advanced standing students. Full-time advanced standing students are enrolled in a 13 month program. Part-time advanced standing students are enrolled in a 25 month program. All students must complete the MSW degree in no more than 4 years following matriculation. The MSW program meets on a semester calendar, with classes offered September through August. Classes typically meet every other weekend with an occasional back-to-back weekend. Field practicum hours are generally completed during weekday hours. If a student lives outside the Twin Cities metro area, the field practicum hours can be completed at a placement near the student’s place of residence. Hours per week vary depending on the agency placement and the student’s availability. For academic calendars and schedules, go to www.augsburg.edu/registrar. Classes meet in 2-4 hour blocks on Friday evenings, 6 to 10:00 pm; Saturday mornings, 8:00 am to 12 pm; and Saturday afternoons, 1:00 to 5:00 pm. Each class meets on campus for 8 sessions in a given semester and for 4 sessions on campus in a summer term (May-June), with the expectation that students engage in hybrid online learning activities between on-campus class weekends. Although classes meet on weekends, students spend time on their studies during non-class weekends and weekdays in accordance with our hybrid learning format. Hybrid learning is a combination of face-to-face class sessions and online/experiential learning. On a class weekend, the typical student will spend 12 hours in class within a 23-hour period. For every hour spent in class, a student may expect to spend 3 to 4 hours outside of class working on online activities, assignments, readings, or group projects. A student may also spend 15 to 20 hours per week in the field practicum during the fall and spring semesters (a span of 8 to 9 months for each practicum). In the final year of study, students complete a summative evaluation or a portfolio, which requires significant independent research, analysis, and writing. Some MSW students work full-time while enrolled in the program. However, full-time employment is not recommended. Most students arrange to reduce their work hours or request time away during their graduate studies. Each student’s situation is unique and must be decided individually. All students must develop strategies for balancing family, work, and academic responsibilities. MSW courses range from 2 to 4 semester credits. Depending on the number of credits, students will spend 16 to 32 hours in the classroom per course. Students will also be expected to engage in activities and independent study outside of class. MSW students are admitted to a particular cohort. Cohorts are distinguished by level of admission (foundation or advanced standing), rate of attendance (full-time or part-time), and chosen concentration (Multicultural Clinical Practice [MCCP] or Multicultural Macro Practice [MCMP]). Any changes to a student’s cohort selection must be approved by the MSW director. Foundation students complete 920 hours in two field practica; advanced standing students complete 500 hours in one field practicum. Successful completion of the first field practicum, required for foundation students, is a minimum of 420 hours. Successful completion of the second field practicum, required for both foundation and advanced standing students, is a minimum of 500 hours. Each practicum experience is spread over two semesters (fall and spring). These hours are completed concurrent with enrollment in the fieldwork seminars as well as other MSW courses. In the foundation courses and field practicum, students are introduced to social work as a profession. Students learn both historical and contemporary theories and practice methods relating to both the individual and the environment. During the foundation year, students study human behavior and the social environment, history of social welfare policy, research methods, assessment frameworks, family and community diversity, and social work values and ethics. In the foundation curriculum students apply this generalist knowledge of theories and practice methods in the generalist field practicum. The field practicum is completed concurrently with enrollment in two field seminar courses. The full foundation curriculum is required of all students, with the exception of those admitted with advanced standing. Before beginning the concentration curriculum, all foundation coursework and field hours must be successfully completed. After completing the foundation requirements, students enroll in the concentration curriculum that they selected at the time their application to the program. Students also complete an advanced field practicum. Augsburg offers two concentrations: Multicultural Clinical Practice (MCCP) or Multicultural Macro Practice (MCMP). In either concentration, students deepen their knowledge of the primary issues affecting families and communities, develop a range of client-centered approaches to practice, gain a broader understanding of human diversity, develop competencies in practice-based research, and learn practice or program evaluation techniques. In the concentration curriculum, students apply this advanced knowledge of theories and practice methods in the concentration field practicum. The field practicum is relevant to their chosen concentration and is completed concurrently with enrollment in two field seminar courses. As a capstone to the MSW program, students complete a portfolio project or a summative evaluation project. Multiculturalism is a process requiring practitioners to have a deep awareness of their social and cultural identities, as well as the ability to use multiple lenses when working with diverse populations. With person-in-environment as an organizing perspective, multicultural clinical social work practice addresses the biopsychosocial and spiritual functioning of individuals, families, and groups. To this end, graduates of the MCCP concentration develop competence in using relationship-based, culturally informed, and theoretically grounded interventions with persons facing challenges, disabilities, or impairments, including emotional, behavioral, and mental disorders. In the tradition of Jane Addams, macro social work practice directs energy toward changing agency, government, and institutional policies that obscure or oppress people. Social work leaders must advocate for social change where necessary to ensure social justice within the context of cultural understanding and awareness. The Multicultural Macro Practice concentration responds to this demand for leadership. The macro social work practitioner recognizes the strengths and abilities of individuals and communities to implement change. The social work macro practitioner works with these individuals to do so. In the MCMP concentration, students learn the knowledge and skills necessary to work with others to achieve needed social change. They also learn to develop, lead, guide, and administer programs that serve diverse people in a variety of settings. The goal of the MCCP Portfolio is to enhance the integration of theory and practice, as well as to offer more vivid portrayals of a student’s academic and professional experience than traditional assessments. By definition, portfolios are formative (i.e., designed for guided reflection and self-evaluation). However they are also summative documents in that they illustrate students’ competencies. All MCCP students are required to create a portfolio during their final year of study. Items in a portfolio might include videos, process recordings, reflective statements, writing samples, case analyses, term papers, electronic submissions, policy activities, feedback from service users, self-evaluations of personal progress, and links to references. All social workers must evaluate their practice to determine whether they are helping or harming clients. While in the concentration practicum, MCMP students will design and implement a program evaluation for their summative project. This project requires integration and application of knowledge and skills from both the foundation and concentration curricula. Students develop their research while in their field internship and are advised by their field seminar professor. Students conduct and present this evaluation/research project during their final year of study. Students in both concentrations have the option of completing a thesis in addition to either the portfolio or summative evaluation project. Credit for the SWK 699 general elective is given for this option. Students work with a thesis advisor to develop more in-depth research skills contributing to social work knowledge. To pursue the thesis option, students should notify the MSW program director by the end of spring semester of the foundation year. Successful completion of all degree requirements within 4 years of matriculation. Six months prior to completion of the MSW degree at Augsburg, students may apply to take the Licensed Graduate Social Worker (LGSW) license exam from the Minnesota Board of Social Work. To achieve LGSW licensure students must pass the Association of Social Work Boards (ASWB) master’s level national social work licensure examination and complete the MSW degree. To seek the Licensed Independent Social Worker (LISW) license or the Licensed Independent Clinical Social Worker (LICSW) license, one must work two years full-time (or 4,000 hours part-time) as an LGSW under the supervision of an LISW or LICSW, depending on the desired licensure. Upon completion of the supervision requirement, one may take the LISW or LICSW’s Association of Social Work Boards (ASWB) national social work licensure examination. For the LICSW, there are additional requirements for 360 clinical clock hours in 6 specific categories. For more information, go to the Minnesota Board of Social Work web page, www.socialwork.state.mn.us. *Course potentially can be waived for advanced standing students (BSW holders). Completed and submitted in final year of study. Students in both concentrations complete at least one general elective course. Field practica begin in the fall, but the selection process begins the previous spring in collaboration with two other Twin Cities MSW programs. Students attend a field orientation before beginning their search. Augsburg University and the University of Minnesota – School of Social Work jointly host a field fair where students meet a large number of agencies and potential field instructors. Practicum selection involves interviews at approved sites, arranged by the student, and a matching process conducted collaboratively by the field coordinators at three of the MSW programs in the Twin Cities. The Augsburg field faculty are committed to the success of each student in a stimulating and challenging field practicum. See the MSW/MBA Dual Degree page. The Augsburg University MSW program promotes the widest possible diversity within its student population. Therefore, the admission policies ensure that educational opportunities are provided to persons with a range of abilities, backgrounds, beliefs, and cultures. Listed below are general descriptions for the application process. Refer to the online MSW application documents for details regarding specific application requirements. The application deadline is January 15 each year for matriculation in the following academic year. All application materials noted below are due by the application deadline. For more information go to www.augsburg.edu/msw or call 612-330-1101. Applicants must submit an official transcript(s) from the regionally-accredited institution granting the Bachelor’s degree and from the most recently attended institution, if not the same. Military veterans are required to submit all official transcripts from previously attended institutions to qualify for military benefits. In the case where prerequisite requirements exist or transfer credits or waivers are sought, official transcripts are required from institutions at which the prerequisites or equivalents were completed. The Program Director may ask for additional transcripts if determined to be necessary. Liberal arts prerequisite coursework including four social science, three humanities, one biology, and one statistics course. These courses must be completed prior to enrollment. International applicants must submit the required application materials listed above. Refer to the additional requirements outlined in Admission of International Students in the Graduate Admissions section. Students may apply to Augsburg as a transfer student. Transfer students follow the same procedure as new applicants. Transfer students may receive up to 22 transfer credits. (See Evaluation of Transfer Credit in the Academic Programs and Policies section of this catalog.) Eligible courses must be from a CSWE-accredited MSW program and students must have received a grade of B or higher. Students must complete no fewer than 30 credits at Augsburg in order to receive their MSW degree from Augsburg University. We do not grant academic credit for work or life experience. Advanced standing is an application category open to those with a bachelor’s degree in social work from a program that is accredited by the Council on Social Work Education (CSWE). Advanced standing applicants may seek waivers for the following eligible MSW courses: Human Behavior and the Social Environment, History of Social Welfare Policy, Practice Methods and Skills 1 and 2, and Integrative Field Seminars 1 and 2 (which include 420 field practicum hours). Advanced standing applicants must offer an equivalent BSW course for each with a grade of B or higher in order to receive a waiver. No more than two courses with a grade of B- will count toward the degree. Courses with a grade below B- must be repeated. No more than two courses can be repeated. If a student receives a grade below B- in a field course, the MSW director will initiate a Level 3 review, as outlined in section 3.2 of the Standards for Social Work Education. The criteria for evaluating field performance can be found in the MSW Field Manual, which is located on the MSW Program Internship Placement Tracking website. All students are required to finish the degree within four years of matriculation. See the Academic Programs and Policies section of this catalog for policy on continuation of coursework or final thesis. Students who interrupt their program enrollment must request a leave of absence through the MSW program in order to maintain their admitted status. The request must be made in writing or via the student’s Augsburg email account. A leave of absence typically requires a full year away from the program in order to return to classes in sequence. All foundation courses are prerequisite to the concentration courses. Students may not enroll in the concentration courses until successfully completing all foundation courses. In addition there are individual courses that are prerequisite to other individual courses in the MSW curriculum. These are listed in the MSW Student Handbook. In addition to tuition fees, students can also expect to purchase textbooks and student liability insurance when in a field placement. There may also be additional fees associated with short-term study abroad electives. Augsburg’s Social Work Department offers several scholarships each year. Students who are enrolled in the first year of the program are eligible to apply. Awards range in amount from $300 to $1,500. All MSW students are invited to participate in the student-run organization, the MSW Forum. The purpose of the forum is to facilitate communication between social work students and the social work department, as well as to provide the opportunity for student participation in departmental governance, curriculum development, and program improvements. The forum has historically been volunteer based. Any student may serve on the forum, provided the student can make a commitment to attend the meetings and share in the efforts. The MSW director and MSW program coordinator also serve on the forum. Other faculty may be invited as permanent members or as guests.